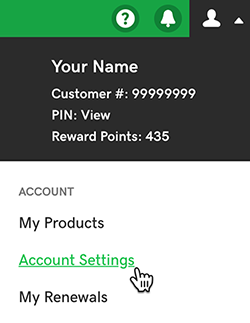 Here's how to add a credit, debit, gift or prepaid card or a checking account to your GoDaddy account for buying or renewing products. Required: You must have at least one non-expired product in your account (free trials don't count), to add a card as a payment method. Otherwise, you may see an error message like: "You missed some required information..."
Click Add Payment Method and then select Credit/Debit/Prepaid Card, Checking Account, or Gift Card. Complete the fields (some are required). Now's the time to change the payment method for your products to use the payment method you just added. Got more than one payment method? Set a backup payment method just in case the primary method doesn't work. You can't add PayPal by following these steps, but we'll add PayPal to your account when you use PayPal for a GoDaddy purchase.